DINOSAUR TAIL FEATHER IN AMBER? Evolutionary scientists have recently claimed strong evidence to support the evolution of birds from dinosaurs. 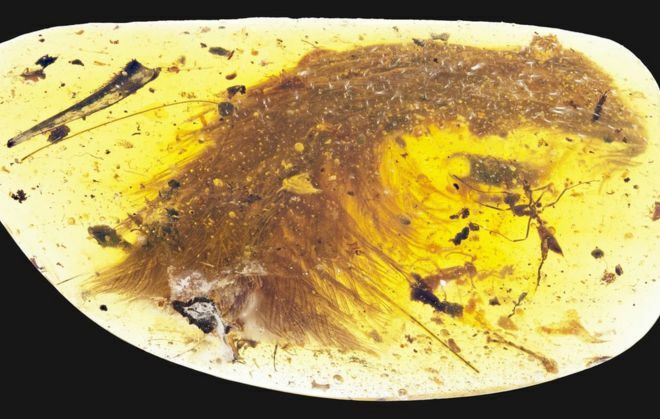 Palaeontologist Lida Xing was visiting a market in Myanmar, when he saw a piece of amber, containing a tiny feather, along with the more usual insects. He claimed that the feather had to belong to a dinosaur, rather than a bird, because the vertebrae present in the specimen were all separate. This, he claimed, contrasted with the tail of archaeopteryx, the tip of whose tail has vertebrae which are fused at the terminus. Archaeopteryx is widely accepted to be a bird, although the article on Wikipedia classifies it as a feathered dinosaur. Wikipedia classifies it as a feathered dinosaur. 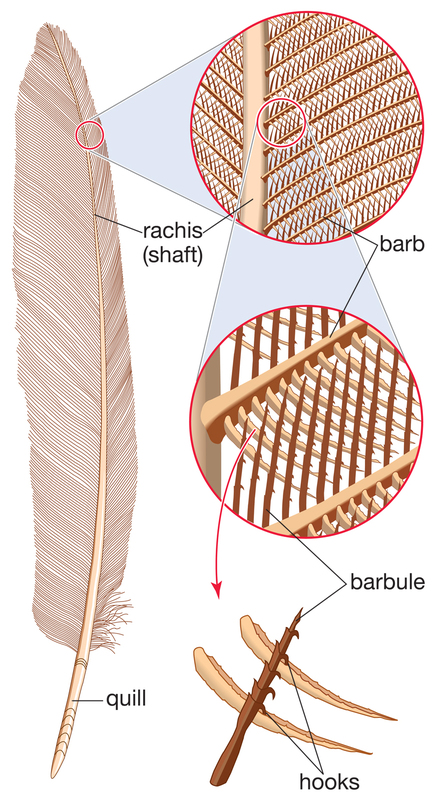 Creation scientist Dr David Menton has shown that the feather could not have belonged to a dinosaur. Therapod dinosaurs would have been bipedal, and their long tails balance their bodies as they walk, like other bipeds, from their hips. But birds do not walk from their hips. Their femurs and knees are within their body walls. The part of the bird’s leg, often assumed to be a “wrong-facing” knee, is, in fact, equivalent to the ankle in other vertebrates. The amber feathered tail shows that it would have had insufficient weight to provide balance for a bipedal dinosaur. 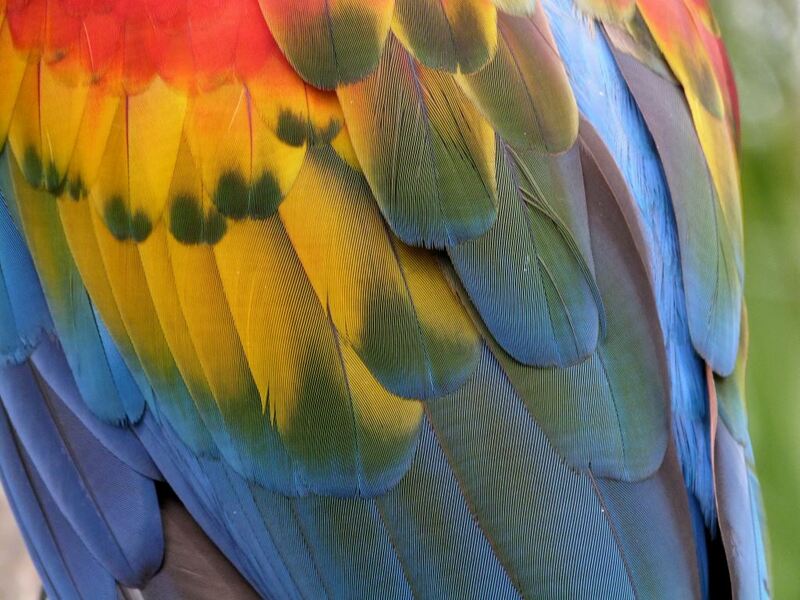 It is much more likely, therefore, that the feathered tail belonged to a bird.Evolutionists have an a priori commitment to finding feathered dinosaurs, as evidence of evolution. Once again, it is seen that they have jumped the gun, if not the shark, in their enthusiasm. Help us, Lord, to consider again the works of Your creation, and give You the praise and the glory. Amen. Reported on the BBC, ‘Beautiful’ dinosaur tail found preserved in amber, (December 2016), retrieved 12/23/2016. Menton, D. (2016), Did a Dinosaur Get Its Feathered Tail Caught in Amber? , retrieved 12/23/2016. ©Creation Moments 2017, with permission. A new species of dinosaur has been found. 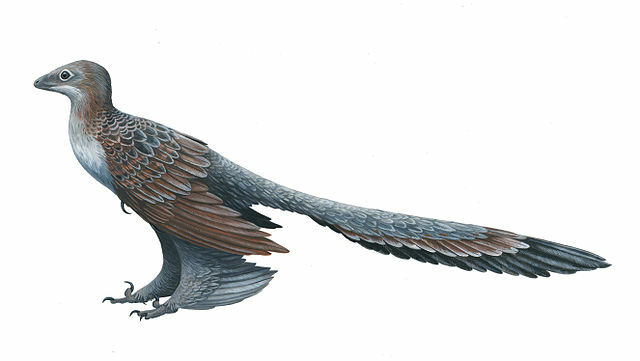 Scientists are calling Changyuraptor yangi the biggest feathered dinosaur ever discovered. Here at Creation Moments, however, we’re calling it a feathered bird. Dinosaur-to-bird evolution is nothing more than a flight of fancy. Non-avian? No, we’re still calling them birds, and here’s why. For one thing, dinosaurs and other reptiles have scales, which are folds in their skin. 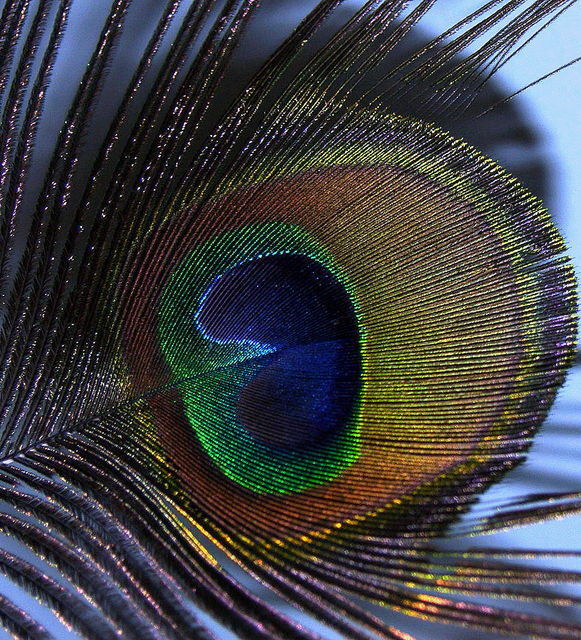 Birds, on the other hand, have feathers which grow out of follicles. 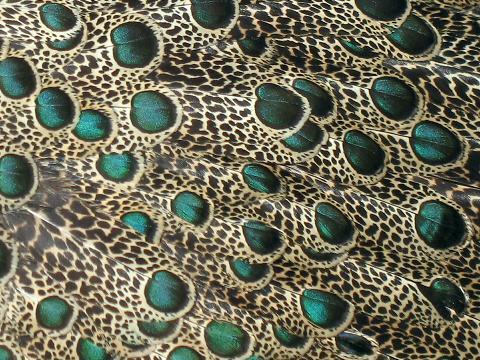 Scales and feathers are completely different. 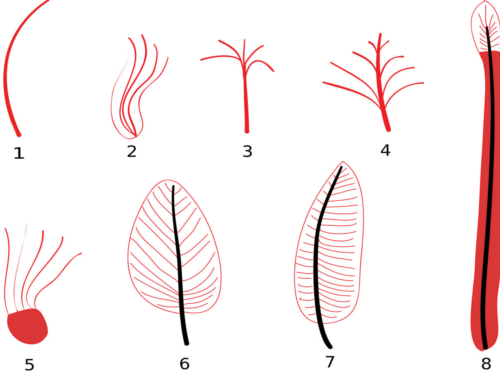 No known fossils, in fact, provide evidence of a transition from scales to feathers. Furthermore, for a dinosaur to evolve into a bird, it would need to develop hollow bones, and it would need to gain powerful flight muscles and develop a new heart with four chambers rather than three. So, too, do we need a new heart to understand the things of God. We don’t evolve our old heart into a new one. Our new heart comes to us through the work of the Holy Spirit. Thank You, Father, for sending the Holy Spirit so we can have a close and enduring relationship with You! Amen. “Scientists discover largest four-winged dinosaur to date“, USA Today, 7/15/14. 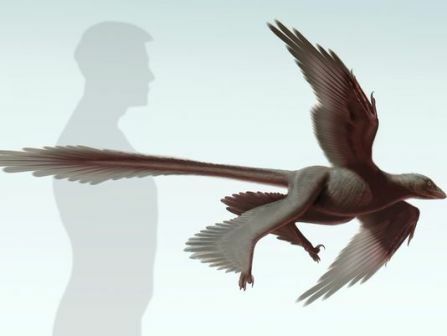 “Four-winged dinosaur is ‘biggest ever‘”, BBC News Science & Environment, 7/16/14. “A new raptorial dinosaur with exceptionally long feathering provides insights into dromaeosaurid flight performance,” Nature Communications, 7/15/14. Illustration: Changyuraptor yangi. Courtesy of Stephanie Abramowicz, Dinosaur Institute, NHM. Used for educational purposes under U.S. fair use doctrine. Flying with four wings seems to be possible.